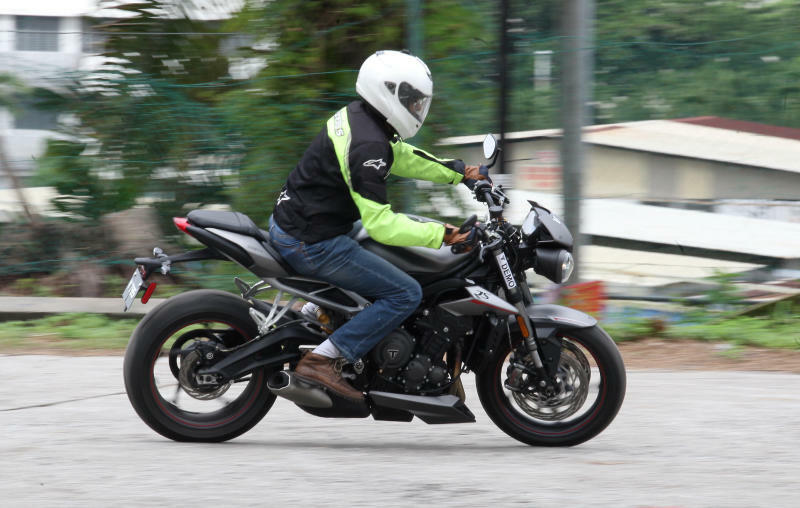 The Triumph Street Triple RS 765cc is a sporty roadster that has been receiving rave reviews and I wanted to know why. So I set out to get hold of the bike. 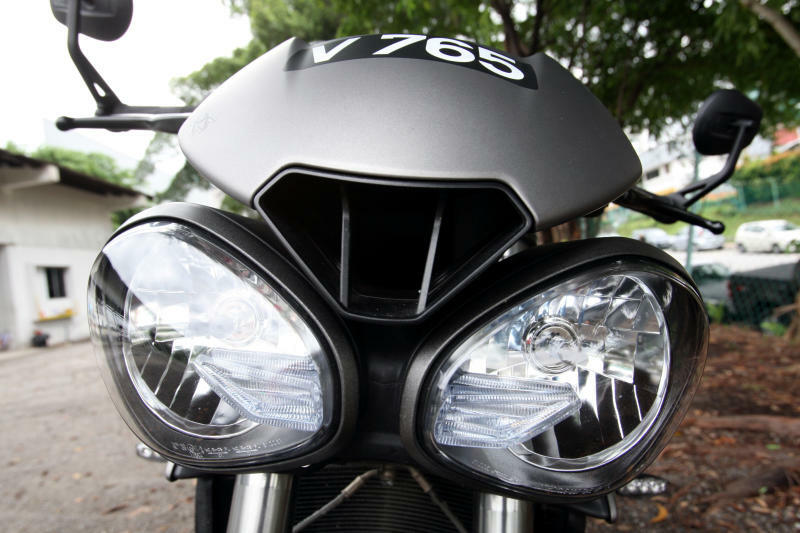 One glance at the machine, there is not much change on the exterior of this bike compared to its predecessor, which is the fact of the matter. 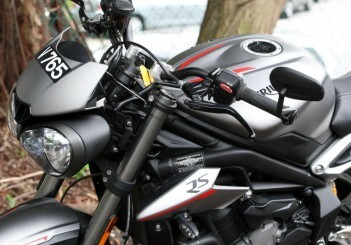 The new Triumph Street Triple family consists of the Street Triple S, R and RS. 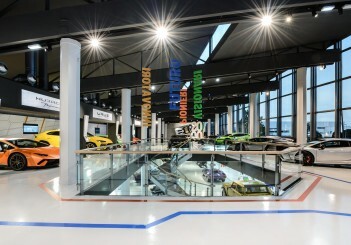 Each come with their own unique tailor made level of power, performance, technology and suspension. 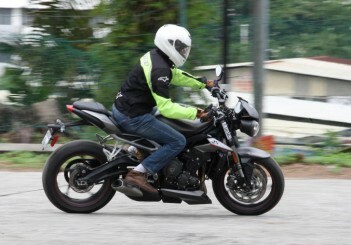 The minute I sat on the Street Triple RS, it was déjà vu. 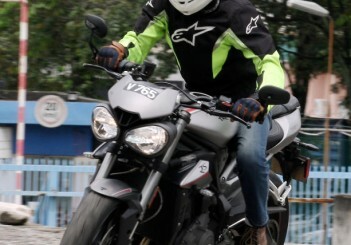 The bike reminded me of the previous Street Triple model which I personally felt it was too hot to handle. Sitting position on this middle weight bike is less aggressive compared to other naked bikes, thus it is very comfortable for a person like me who is six feet tall. 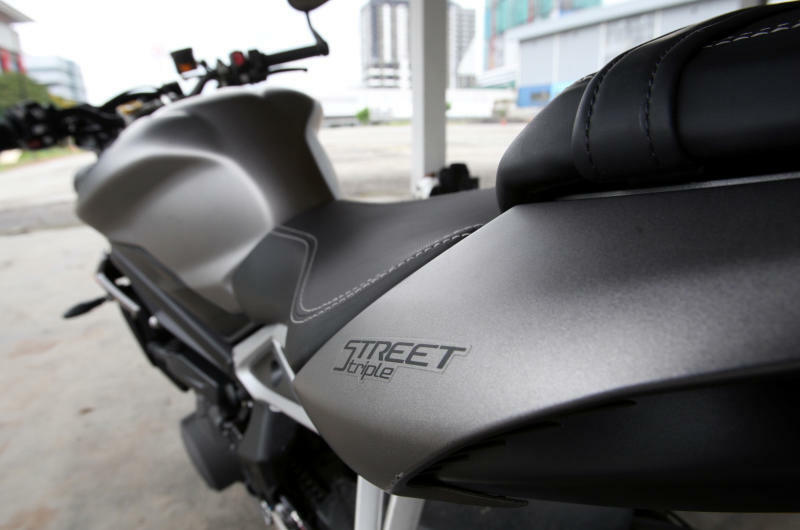 The saddle is firm and comfy; making it ideal for any long journey. 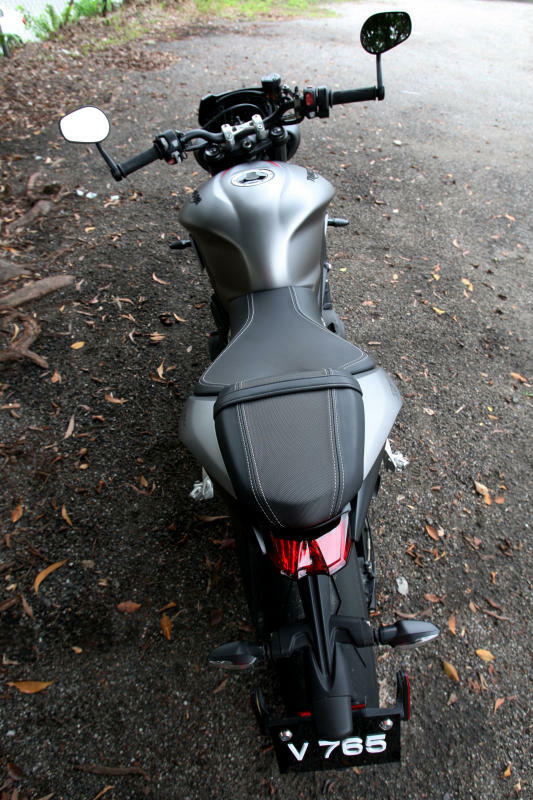 However there is not much space or rather very little space for the pillion’s bum. 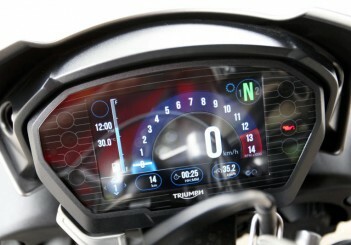 The design of the instrument panel on the bike is simple but the information offered to a rider is a necessity. The 5-inch LCD instrument panel on the RS model is simply stunning, replacing the analogue dials. 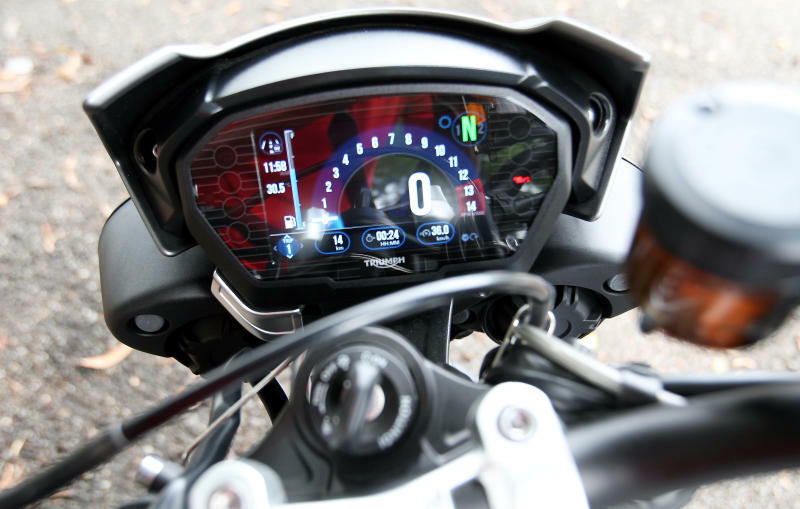 Among the information made available on this display are riding modes, odometer, trip meter, ambient temperature, fuel gauge, fuel range, gear position, engine mode and anti-lock braking system (ABS). It’s easy to use and to ensure that the screen is readable in all weather and lighting conditions, the LCD automatically adjusts its back-lighting. The minute I thumbed the starter and got the bike to life, I only needed open little throttle to get the bike moving. 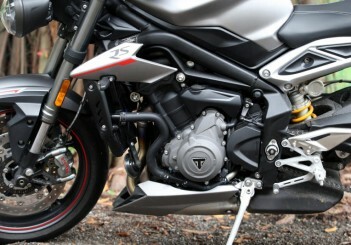 Usually a torquey bike of this sort will jerk at this instance but not this Street Triple RS. 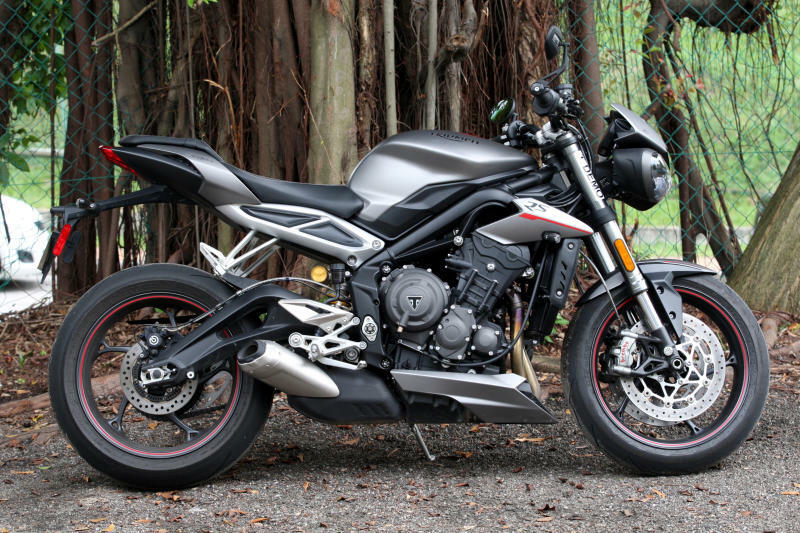 On the Sungai Besi highway, I was clocking the legal speed limit and I must say the bike just begs me to push it harder as it still has plenty of reserves inside. I was so tempted to push to the tachometer needle to the red line but resisted. 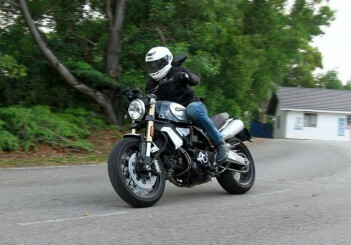 But being a responsible rider, with a heavy heart I decided not to turn the public road into a race track. 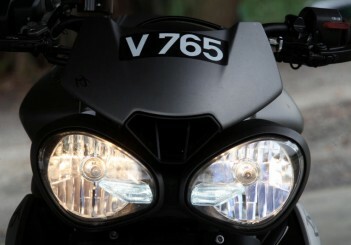 The machine is at its best when its engine reaches 7,500rpm. 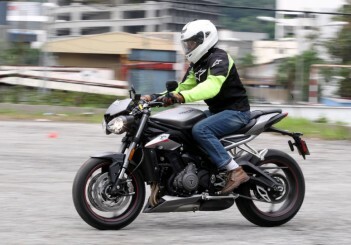 There is an abundance of power on this middle-weight machine that got me wandering, how the bike will perform if I twist the throttle right to the end. I guess the answer is obvious. 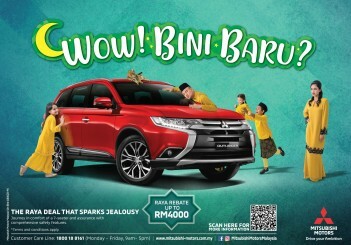 It’s like sitting on a fully loaded missile tearing through the roads of KL. 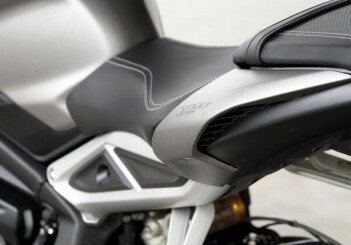 The RS is fitted with five riding modes - Rain, Road, Sport, Track, and Rider. 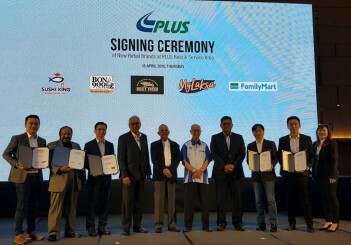 The uniqueness of these modes is, I am able to control the throttle response and manage the ABS and traction control according to my needs. The endless twisties and corners of Kuala Klawang and followed by the Karak highway was the places I tested the riding modes. While in Kuala Klawang; I experienced heavy rain, which was where I turned on the Rain mode. 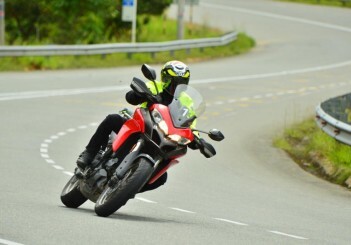 The rain mode kept the bike planted on the winding roads. 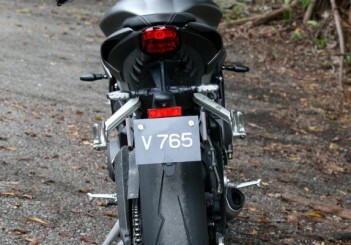 I was clocking 100kph at few wide corners and the bike was able to hold the line well. 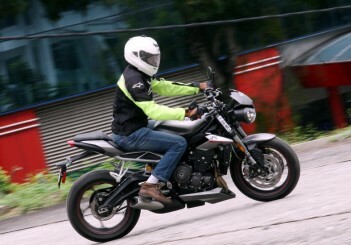 There were no unwanted skids and the feel on riding under wet conditions was simply awesome. Even with the heavy down pour, the RS was able to glide through the different types of corners without any drama at all. 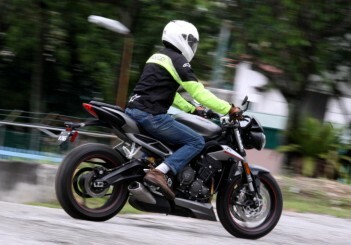 The light feel and the nimbleness of the RS made the bike very suitable in such environment. Being in its element, my job was only to countersteer the bike to the left and right, the rest was handled by the bike. 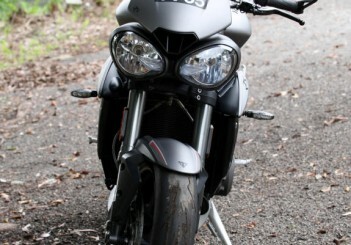 The wide handlebar made it much easier to control and manoeuvre the bike. 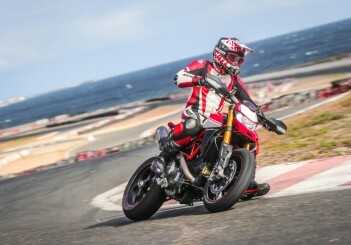 The technical corners and the hairpins were no match to this machine. This would not be possible if not for the Ohlins rear shock and Showa front forks working in perfect harmony with the RS’ chassis. Meanwhile on the Karak Highway, I got the Road mode on. While on Road mode, the bike was flawless. 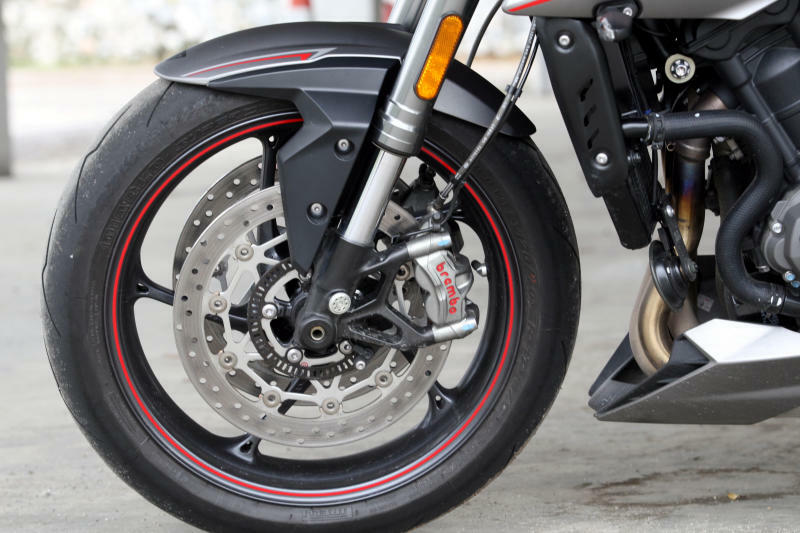 The light clutch and smooth gearing be it gearing up or down definitely deserves two thumbs up. I did encounter two crosswinds and the bike was still planted as a rock. 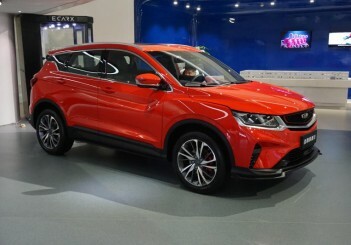 Not only that on few occasions while few lorries over took me at high speed, the RS was not affected at all. 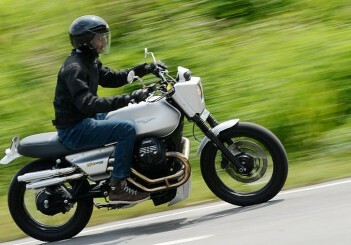 The sturdy chassis kept the bike straight all the time without any wobble. 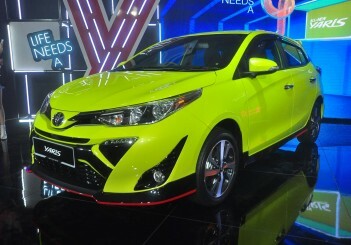 The brakes has enough stopping power to bring this ‘road missile; to instant stop. 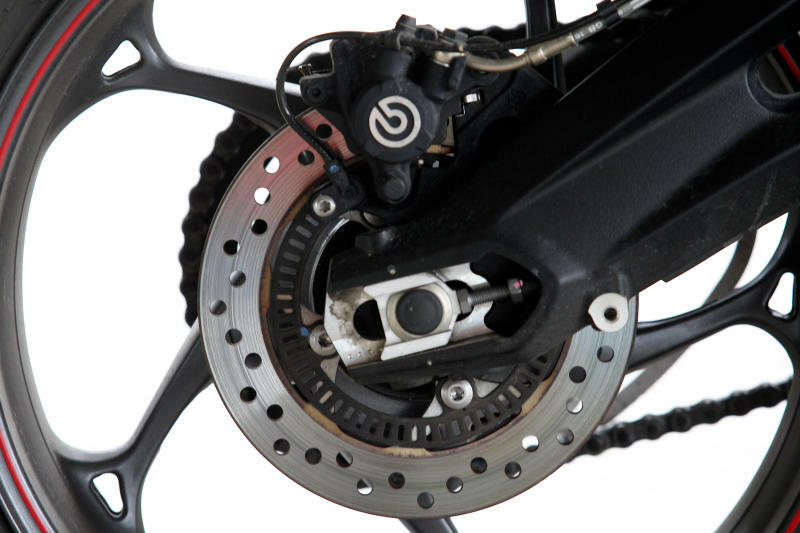 However, the bite of the front brake bite is more aggressive compared to the rear brake’s. Thus it is very important to any new owner to understand the characteristics of the RS’ braking system. There is no major concern, once you get a hang of it. The Street Triple RS is an explosive, exhilarating, agile and intuitive performance street motorcycle that guarantees 110% satisfaction. Its athletic ability, be it on the street or track is simply wicked. Suit up and give the RS a try. 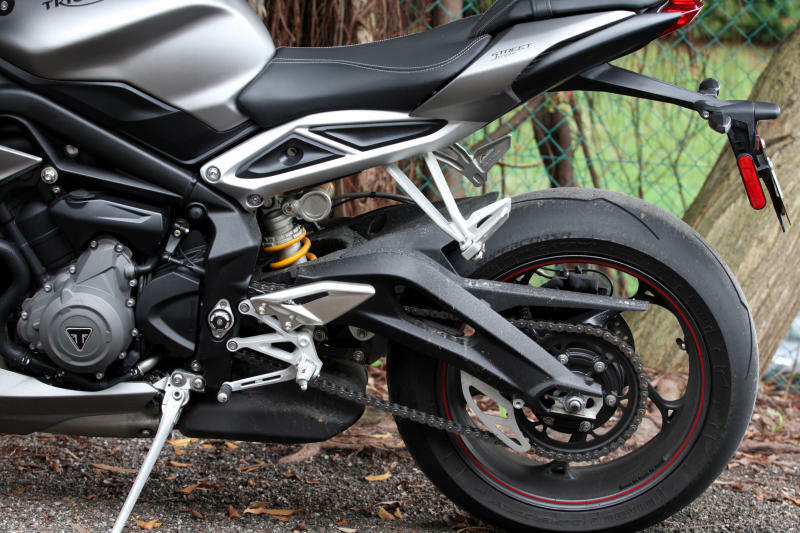 Front suspension: Showa 41mm upside down big piston forks (BPF), 115mm front wheel travel with adjustable preload.